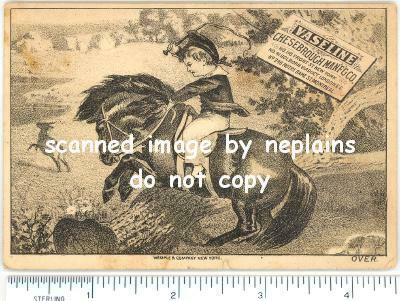 Sketch of boy riding pony jumping over a fallen tree trunk. 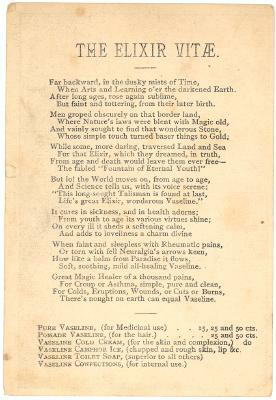 Poem on back, "The Elixir Vitae." Also lists Vaseline products and prices. Card made by Wemple & Company, NY. Measures apx 4-1/2" x 3-1/8". Minor corner and edge wear. Apx 1/8" tear at bottom edge.